For many years, the neck has been considered a symbol of youthfulness and vitality. The neck is the first part of the body in which individuals first see signs of aging appear. The neck plays an important role in one’s facial beauty and self-esteem. As we advance in age, we develop fat deposits in the neck area, which make us lose the definition between your face and neck, creating a sagging appearance. Heredity factors can also affect our neck appearance. 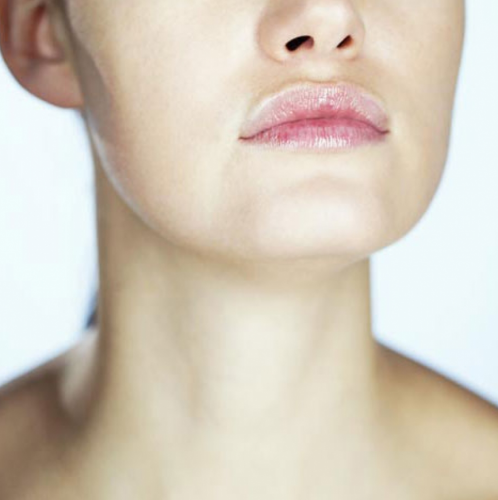 Neck liposuction in Mexico can help restore the angles of a well-defined jaw. What Should I Expect from My Neck Liposuction Surgery in Mexico? During your neck liposuction surgery consultation in Mexico, one of our premier Reveert’s plastic surgeons in Mexico will conduct an extensive analysis of your face, measuring the angles of your chin and your neck to determine how well your jaw is defined, where the fat deposits are in the neck and the quality of your skin. Your assigned Reveert plastic surgeon will listen attentively to your neck liposuction surgery expectations and will demonstrate what incisions will be made during your neck liposuction surgery in Mexico. Your surgeon at Reveert will run a few medical examinations related to your neck liposuction surgery in Mexico to determine your health status. The pre-neck liposuction surgery examinations will include lab work and a preoperative cardiac evaluation. Your Reveert plastic surgeon will take pre-surgery photos to best evaluate the areas of concern and will further advise on the procedures that will be completed, details about neck liposuction surgery in Mexico, including incisions sites, risks of neck liposuction surgery, pre-operative and post-operative care in Mexico, as well as recovery time. Following your neck liposuction discussion in Mexico, we will schedule your neck liposuction surgery date and you will be given the necessary information to follow before surgery. You will be given all medical garments and medicine which will include pain medication, anti-inflammatories and antibiotics. It is important to have someone with you the first 24 to 48 hours from your neck liposuction surgery in Mexico, as you may feel weak or sleepy and may require help getting out of bed. It is vital to follow the list of post-operative care, including the use of the compression garment, keep the neck extended to prevent wrinkling and avoid strenuous activity the first few days. Most patients experience muscle discomfort about 7 to 10 days after neck liposuction in Mexico, so it is significant to take your medications on schedule. The most common risks of neck liposuction surgery in Mexico are indicated by patients who smoke. Age (patients over 40 years) plays a significant factor in the risks of neck liposuction surgery in Mexico. How long does neck liposuction in Mexico last? Neck liposuction surgery in Mexico lasts approximately 1 hour. What type of anesthesia is used during neck liposuction in Mexico? Reveert plastic surgeons use a light sedation along with local anesthesia in neck liposuction surgery in Mexico. Neck liposuction surgery in Mexico can be carried out on an outpatient basis. How Long Does it Take to Recover from Neck Liposuction in Mexico? Recovering from neck liposuction surgery in Mexico is gradual, you can continue with your activities one day after your neck liposuction surgery in Mexico but exercise should be discontinued or reduced for 1-2 weeks. You will use a compression garment for 1-2 weeks and follow-up visits will be taken to monitor progress of your neck liposuction surgery in Mexico. You will start seeing a noticeable difference in the shape of your body after your neck liposuction surgery in Mexico; however, the final results of neck liposuction in Mexico will be evident after 3 weeks from the surgery date, when most of the swelling has subsided and the skin has tightened. Will the incisions of Neck Liposuction Surgery in Mexico be Visible? Incisions made during neck liposuction surgery in Mexico are tiny (approximately 5 mm) and are hidden behind the ears. To ensure a fast recovery and the best neck liposuction surgery results, it is very important to follow your Reveert plastic surgery post-operative instructions carefully.